Add beauty and style to your living area with the bold, yet inviting design of the Beth Coffee Table. 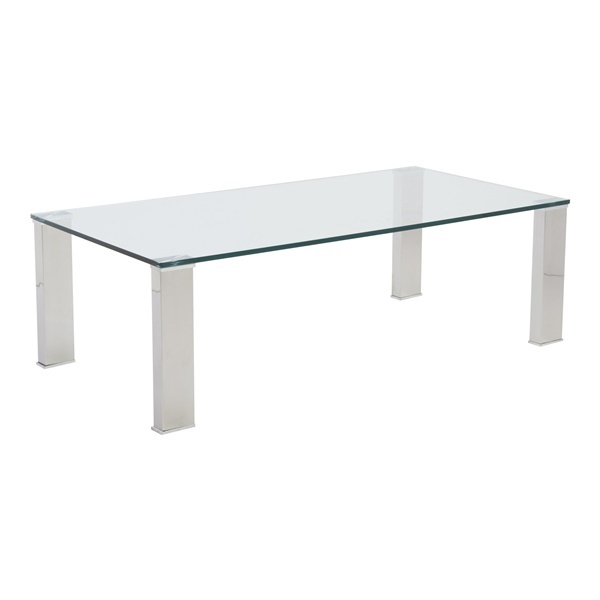 This table’s clean lines and sleek look make it an ideal centerpiece for a modern living room, and its simple, understated design ensures that it fits in well with many different decors. The Beth’s slender and graceful block legs add a distinctive touch of contemporary artistry. Meanwhile, a 12mm-thick tempered glass top adds shine and sophistication. The top is durable enough to stand up to years of coffee breaks, and features a surface that’s easy to clean and care for. This is the perfect spot to showcase artwork, photographs, magazines, or flower arrangements.